Christmas in Moldova is considered a family celebration, people go at each other in hospitality, spend time at the meal with meat, and the children started during the Christmas carols, which according to tradition, bring peace and prosperity at home. Christmas celebration is part of the 12 royal (royal feasts) of the Byzantine Churches, the third biggest holiday after the Easter and Pentecost. 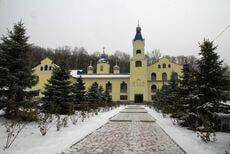 Christmas is celebrated by Orthodox Moldova on 7-8 January. Those days are officially declared as days of rest, and be accompanied by concerts in the capital's central square, the greetings, haituri, plays performed by children and adults. Also people go from house to house, singing, carols, joyfully proclaiming the Nativity. Easter is one of the most important annual Christian holiday, which commemorates the fundamental event of Christianity, the Resurrection of Jesus Christ, Son of God. 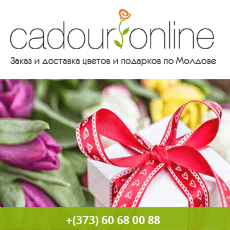 Easter is a popular religious celebration in Moldova. Celebration of Easter dates are "changing", ie changes from one year to another. So, after the Orthodox Easter is celebrated the first full moon following the vernal equinox, which, no less than a week after the Hebrew Passover. Easter celebration lasts two days are considered non-working days. People are prepared in advance, and painted red eggs, whose presence is required on the table for Easter, although it is now painted eggs and other colors (green, blue, yellow, etc.).. There are several Christian legends which explain why they turn red Easter eggs and why they have become the symbol of the feast of Holy Pascha. One of them tells that Mary, who came to complain crucified son, Jesus Christ, placed the basket with eggs near the cross and they were red with the blood dripping from his wounds. Also bake traditional cakes, cakes for kids graze and from time to sit down with the most delicious meals and wines chosen to spend the holiday with family. 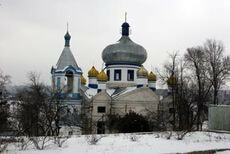 A week after the Easter holiday beginning on the first Sunday or Monday, depending on the traditions, the Orthodox celebrate Easter so-called Low Sunday (Remembrance Day). This festival is also called Prohoadele, Easter Monday or Dead Souls. There is no reference in the Old or New Testament that would indicate to any event or any law by which God would have let this celebration. But regardless of this, every day is used to huddle with his family in the parental home and to visit the graves of those taken from life, where prevention is clean and instill the flowers are painted rucile or whitewashing them. Tosi go there and give alms to different things, they change depending on each village and traditions. Pomenele are given "as the soul of the dead. Împreuă priests leaving the church with people and come to the cemetery.Here is a panahidă the community to once again mention that all data pomelnicile memorial Masses at the church of sîmbetele Lent. The priest comes a litany saăvîrşeşte, mentioning the full House pomelnicul and deputy when he sang "eternal memory", the priest, aghezmuieşte agheazmă graves, and watered with wine. In the end, she put in the basket, which bears the chapel: a towel on his grave, or another charity that is like a shepherd, bread or 1-2 coils with red eggs and candle. And other people give alms are usually foreigners, with a glass of wine and a candle lit for the souls of the dead.